In 2008, 50 Cent landed the opportunity of a lifetime when MTV gave him his own reality show. The show was created in the vein of the Diddy-themed reality shows. Titled "The Money and the Power," 50 Cent was playing the role of Donald Trump. Several contestants competed for a role with G-Unit. Despite having a good premise, the show failed to connect with the viewers. Reality shows do not survive off plot, instead they make it off the stars. Some people have and some people do not. 50 Cent did not and the show did not make it. As quickly as it was put on the air, MTV pulled the show. 50 Cent was in the middle of a label dispute with Interscope, so he was already suffering from hard times. 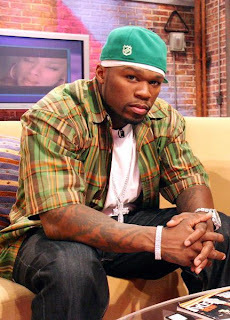 Always confident in the eyes of the media, 50 Cent shrugged it off. He said he really did not need the show or his label because of the millions he had. While this was true, 50 Cent had hoped the show would provide promotion for his latest album. Putting the previous show in the past, 50 Cent is now in business with VH1. With a different network comes a different type of program. 50 Cent will be starring in a program called "The Origin of Me." The show details 50 Cent as he searches his roots. "The Origin of Me" will premiere on VH1 on May 23.